Fans of MST3K, bad movies and early 80’s film to game adaptations should really check out the iOS game MANOS – The Hands of Fate. Based on a movie that many consider to be the worst ever made, ranked #4 on the IMDb bottom 100, Manos is an 80’s inspired platformer with numerous homages to both classic games and bad b-movies. SEGA fans should recognize the death animation, in which the player turns into a transparent ghost and flies upwards. 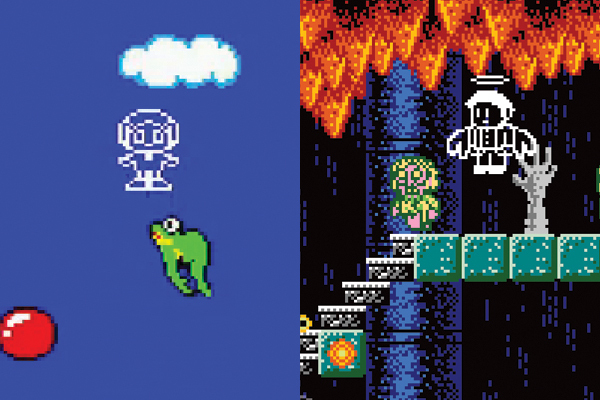 This, according to the game’s developer, was an homage to the Master System’s Alex Kidd in Miracle World. Nice to see the Master System getting some homages, the Master is pleased. SEGA in the Media: The Price is Right for a Sega-Vision in 1977! SEGA in the Media: Seinfeld’s “The Comeback” has a great selection of Genesis games at Champagne Video A N64 in my Game Gear? Valkyria Chronicles 3 TGS Trailer – Fan Translation Let’s Go to the “Sonic Generation” Art Show in Philadelphia!